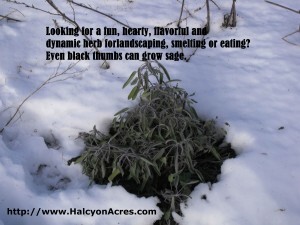 Great advice on how to add this taste herb to our herb gardens. I really like your scrambled egg recipe, I will make it for breakfast tomorrow morning. I think I will replace the Swiss cheese with Muenster (only because I have no Swiss cheese in the house at the moment)I am looking forward to that first bite. I’m looking forward to hearing your thoughts on the mix, Chef William. I’m a big onion fan, so add those too, but didn’t mention that because I recognize some have issues with this item. Thyme and sage together (they really compliment each other in eggs – particularly if you include an equally strong cheese choice, and of course, the right mushrooms have no problem enhancing either) add such a wonderful flavor to eggs. Of course, I like food combinations where each flavor is recognizable – some don’t. wow thank you for the advice. That herb looks awesome…i should try this one. Thanks again. 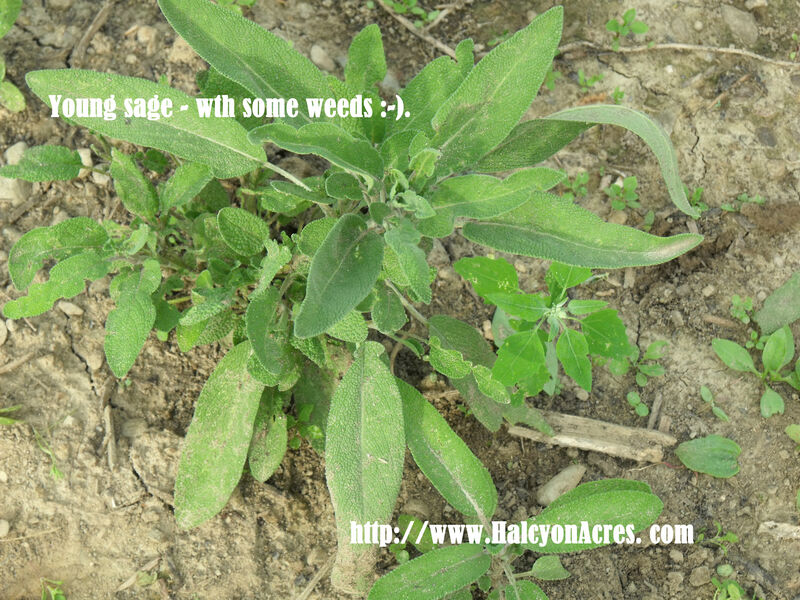 Sage is a pretty plant but not my favorite to cook with. I find it too strong and it should be used with caution unless you really like the flavor! I would like some ideas for other uses than the standard holiday turkey and dressing. How else do you use it? As far as I am concerned, herbs make the dreffience between a good meal and a great meal. However, purchasing herbs has gotten to be an expensive proposition. Just find them is the first issue, then find Fresh herbs is the next hurtle and finally finding fresh herbs that you can afford is always difficult. Obviously, the answer is to grow your own herbs.Well as good as that sounds, I have tried it before with little or no success. But after reading Growing Herbs Indoors, I can see the mistakes I have made in the past. The author takes you by the hand and give you the vital information to have an herb garden right in your own home. 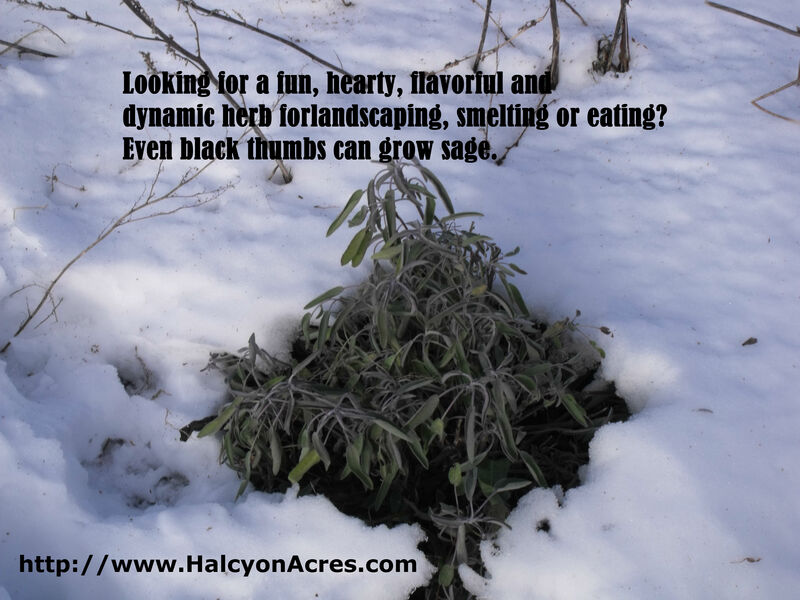 That way you have a constant source of inexpensive, fresh herbs right at your finger tips. She provides relevant information that will make your growing pains a lot less.All in all, this guide provides details how anyone can grow their own herbs successfully. I happen to really like the pungent flavor and smell of sage, so for one that finds it unpleasant, I may not be the best source to answer your question, Minette. It’s wonderful (you don’t need a lot) in eggs (scrambled, omelettes, etc. ), salads (finely chopped and distributed lightly and evenly – no need for dressing if you combine this with time and a bit of fresh minced garlic), on top of roasts (mostly just makes the kitchen smell great but does add a bit a flavor to the meat) and as a flavor enhancer with a variety of vegetable dishes where you’re looking to reduce calories with sauces, cheeses and such while making a memorable and fun eating experience that excites the senses.